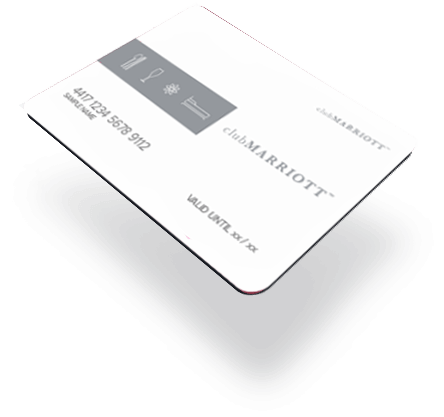 Indore Marriott Hotel is the largest five star property in M.P. 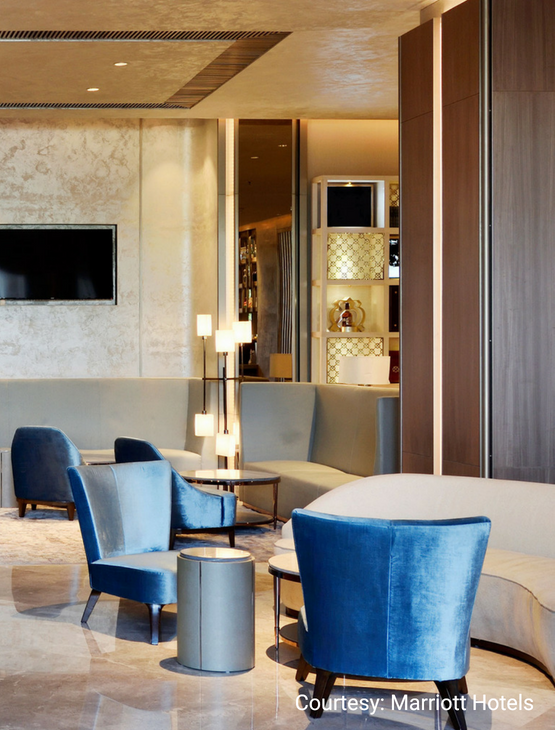 The grandeur of the Hotel can be experienced as soon as you enter the property. The facade of the hotel gives a natural and wide clutter free experience. The Indore Marriott Hotel is a destination within a destination offering exceptional culinary experiences. 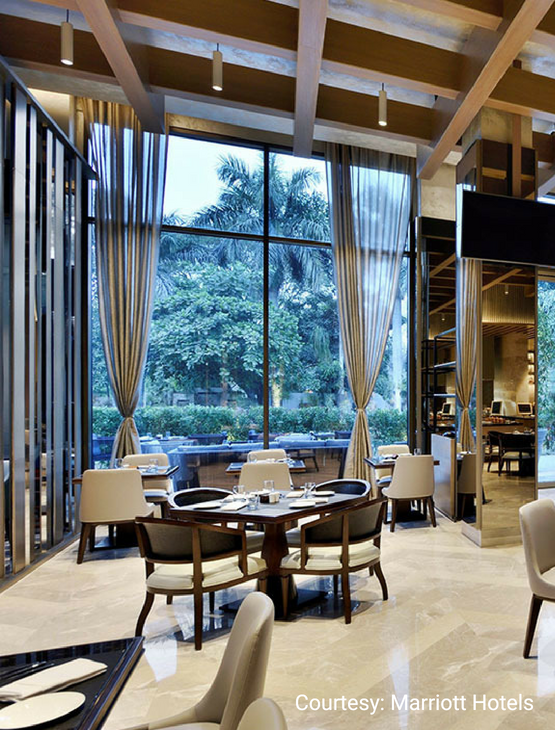 The Indore Kitchen is a three meal restaurant showcasing different cooking method in an open kitchen. Indore Baking Company is perfect for those on the go, serving fresh bakes, cakes, brews, malts and more. 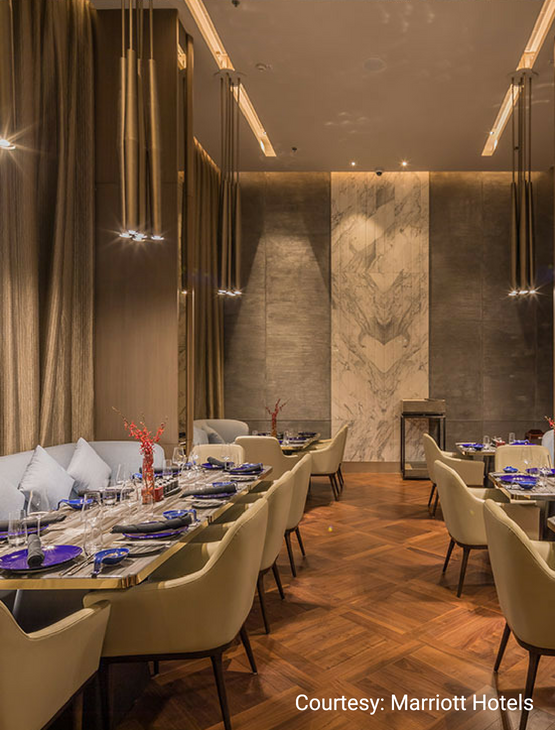 One Asia is an upscale specialty restaurant serving Pan-Asian cuisine from Sichuan, Thailand and South-East Asian countries. 30% off on the food and beverage bill up to a maximum of fifteen (15) guests on a table (not applicable at Diamante). Member’s Day on Tuesdays. Avail a 40% off on the food bill and a 30% off on the beverage bill up to a maximum of ten (10) guests over lunch and dinner at Indore Kitchen and One Asia. Member’s Night on Thursdays and Fridays. Buy one drink and get the second drink (same as the first one) with our compliments at One Asia and Indore Baking Company. One (1) certificate entitling the Bearer to a buffet lunch or dinner for two (2) guests at Indore Kitchen. This benefit is not valid over Sunday Brunch. Two (2) certificates entitling the Bearer to a 40% off on the food bill and a 30% off on the beverage bill over lunch or dinner up to a maximum of ten (10) guests at Indore Kitchen or One Asia. This benefit is valid from Monday to Friday. One (1) certificate entitling the Bearer to an alcoholic Sunday Brunch at the price of a nonalcoholic Sunday Brunch up to a maximum of two (2) guests at Indore Kitchen. One (1) certificate entitling the Bearer to a Cake of the day (max. 1 Kg), while dining at the hotel. One (1) certificate entitling the Bearer to a 50% off on Sunday Brunch up to a maximum of four (4) guests at Indore Kitchen. One (1) certificate entitling the Bearer to a one night stay in the base category of rooms. This benefit is valid for two (2) guests and is inclusive of buffet breakfast. Three (3) certificates entitling the Bearer to a 20% off on the Best Available Rate on the base category of rooms. This benefit is valid for a maximum of three (3) consecutive nights per certificate. 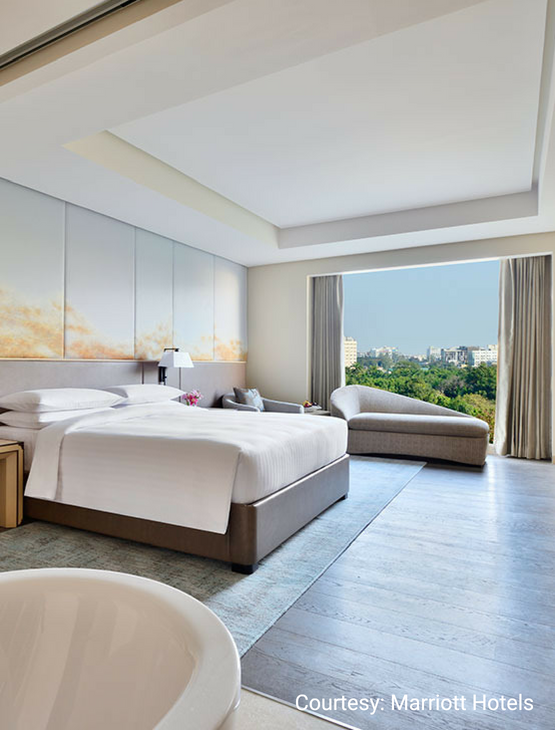 Upgraded membership brings to you an additional certificate offering a one night stay in the base category of rooms. This benefit is valid for two (2) guests and is inclusive of buffet breakfast.